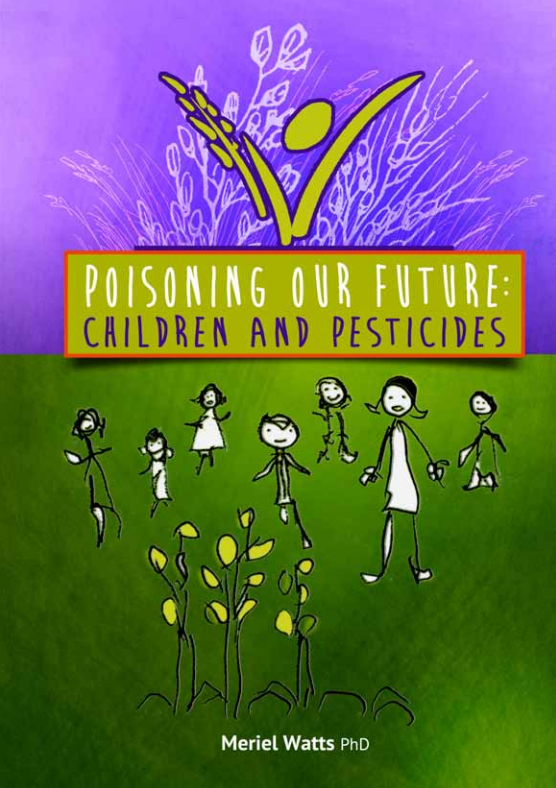 Physiological factors increase the vulnerability of women and children to harm from pesticide exposure. Breastfeeding and expectant mothers are particularly vulnerable. Developmental toxins are substances which can have an effect on an unborn child. If an expectant mother is constantly and repeatedly in contact with these kinds of chemicals, they can affect the fetus and adverse effects can be manifested at any point in the life span of the child. These effects can include death of the fetus, structural abnormality, altered growth, and abnormal organ function. Children are more at risk from pesticides because they have higher exposure rates than adults and are more vulnerable to their effects. Crawling and playing in areas treated with pesticides, or putting contaminated objects in their mouth, increases their exposure. Children spend more time in areas like parks and playgrounds where pesticides are used. They sit, lie and play on the ground and can readily come into contact with freshly applied pesticide or dust contaminated with pesticides. Children absorb pesticides more easily through their skin. Not only is a child’s skin more permeable than an adult’s, but their skin surface area relative to body weight is also higher. This makes it easier to absorb higher rates of pesticides. In fact, infants will absorb around three times more pesticides than adults from similar exposure episodes. Children take in more air, water and food relative to their body weight compared to adults. This increases their total exposure. For example, the breathing rate of a child is roughly double that of an adult. As a result, the amount of airborne contaminants reaching the surface of the lung can be much higher. Not only is exposure likely to be higher, but a child’s ability to cope with pesticide poisoning will differ from that of an adult. The systems that our bodies use to deal with toxins are less well developed in children and this can make them less able to cope with these substances. As they grow, children’s brains and bodies undergo complex changes that affect tissue growth and organ development. Incidents of exposure that would be tolerated by adults, can cause irreversible damage to unborn babies, infants and adolescents.